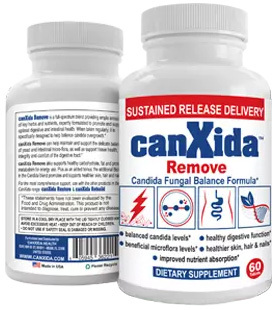 Fluconazole (Diflucan) - YeastInfection.Org by Eric Bakker N.D.
An alternative well-known oral drug for candida yeast infections consists of Fluconazole (Diflucan). I am amazed how many women I have seen who have been prescribed Fluconazole weekly on an ongoing basis to counter vaginal yeast infections, sometimes for years, yet with no further recommendations in terms of dietary or lifestyle modifications. Incredibly, some of these women have taken Diflucan for five years or more, one tablet per week. I have helped many women who have taken this drug, and have found that most all can discontinue its use after a period of eight to twelve weeks, even those who have been taking Diflucan for several years. Get hold of emergency medical aid in case you have signs of an allergic response to Diflucan for example hives; difficulty breathing; inflammation of your face, lips, tongue, or throat. Mild stomach pain, diarrhea, upset stomach. In my experience, most doctors would prefer to treat vaginal yeast infections with vaginal tablets or suppositories rather than oral medications. But, saying that, they are quick to prescribe an oral antifungal medication or anti-biotic if they notice little result with the topical treatment. Remember, while vaginal treatment is unlikely to cause these side effects, the same cannot be said of any oral antifungal or antibiotic medications. Be sure never to take Fluconazole if there is any likelihood of becoming pregnant. This drug is not recommended for use during pregnancy. If you have been using this drug and have experienced any untoward side-effects, or if you have been on it for some time, then I would highly recommend an herbal treatment to clean up your liver for at least three to four weeks, because the liver can be affected significantly whilst taking this drug. Unfortunately, the use of prescribed pharmaceutical anti-fungal drugs and creams, especially if repeated or chronically used, can only lead to the development of stronger strains of yeast that eventually become drug resistant. Higher dosages or stronger drugs are then required which only escalate the problem even further. Many doctors now no longer use Nystatin or even antibiotics because they only weaken a person’s immune system and can damage certain organs like the liver and kidneys. If you ever treat yourself with any over-the-counter preparations and symptoms continue or recur within two months, it is wise to seek the advice from your health-care professional.